Allahabad High Court has invited online based applications from qualified candidates for the post of Additional Private Secretary, Assistant Review Officer, and Driver. A significant number of candidates applied for the post and are preparing for the exam. The department has now declared the Allahabad Assistant Review Officer Syllabus 2018 on the official website – www. 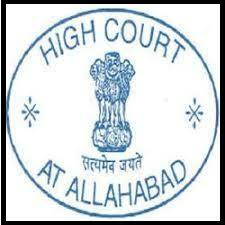 allahabadhighcourt.in, for helping the contestants who are preparing for the post to get ready for the competitive exam. Participants can improve their chances by preparing for the exam following the syllabus. The Allahabad High Court or the High Court of Judicature at Allahabad is a high court based in Prayagraj that has jurisdiction over the Indian state of Uttar Pradesh. The court will be conducting the Main Examination for the selection of various posts. There are currently 341 Vacancies available in the post of Additional Private Secretary, Assistant Review Officer, and Driver. A large number of applicants and are preparing for the exam. The board will be conducting the exams for soon and have now released the study materials.